Editor’s Note: An annual report on violations of the right of Baha’is in Iran to education was posted in Iran Press News (reference at the end) which appears below in translation. Kindly note that this report provides only a very small sampling of violations of rights of Baha’i students to higher education; hundreds, if not thousands, of similar cases continue to go unreported. The annual report of the Committee on the situation of higher education for the Baha’i community during the past year [March 2008 – March 2009]. This report contains multiple instances of the breach of social and civil rights of Baha’i students in Iran; it is published by the Committee for Recourse of the Right of Access to Higher Education for Baha’is [CRRAHEB], which is a sub-committee of the Human Rights Activists Organization in Iran. It should be noted that due to the pressures exerted on the Baha’i community in Iran, which has intensified considerably during the past year, and in light of the absence of freedom for the press and the lack of freedom of movement of Human Rights activists to gather, present and pursue the wide-spread, persistent and organized instances of violation of human rights in Iran, this report cannot adequately reflect all violations of rights of Baha’i students in Iran and the suppression of their ability to seek recourse for their legitimate rights, and only represents that portion which has been reported by the Committee [CRRAHEB]. The deprivation of education to Baha’is in the year 1387 Sh [March 2008 – March 2009] can be divided into stages enforced by the Ministry of Intelligence and its security arm in the Ministry of Education. Last year — that is, the year 1387 — we witnessed that many Baha’i students were not allowed to participate in the national college entrance exam. Many Baha’i students were deprived of their right to education, since the result of their exams was not reported and their files were shown as incomplete. This also took place in the previous year , and the number of persons who were declared to have “incomplete files” was reported to be 800. Given that the Yaran [“Friends in Iran”, a now defunct group, which previously had an ad hoc supervisory role for the Baha’i community of Iran] were in prison during most of last year, accurate statistics were not available, but it could be estimated that the number of those who were told that their files were “incomplete” was between 800 to 1000 during the year just completed. In the year 1387, although a few Baha’i students received their report cards during the college entrance exam, a new trick was used to prevent them from entering many universities, such as the University of Shiraz. Baha’i students discovered during the registration process, that was suppose to take place online, that only five choices were available for religion: Shi’a and Sunni Muslim, Christian, Jewish, and Zoroastrian. Applicants who did not select one of these five choices were unable to register! In this way, many Baha’is were deprived of higher education in universities, which is in contradiction to paragraphs 3, 9, and 14 of article 3, as well as articles 14, 19, 20, and 30 of the [Islamic republic of Iran’s] Constitution. After some Baha’i youth were admitted into universities in year 1387, regrettably just as many were expelled, and in February and March we witnessed the intensification of these expulsions. Currently very few of those Baha’i students are enrolled in universities. These few students who are still enrolled have no “educational security” whatsoever and may also be expelled at any moment. Hereunder, we describe briefly the accounts of entry, expulsion and deprivation of a few of these deprived Baha’i students who in cooperation with this committee have submitted their appeals. Parham Aqdassi: Majoring in Atomic Physics in Bu-Ali Sina University of Hamadan: was expelled on December 24, 2006, only after one semester. Hollaku Rahmanian: He was ranked number 76 in Iran in mathematics in the national college entrance exam in 2007, but after choosing a program was given the status “Refused”. The following year, 2008, the same Baha’i youth was not allowed to participate in the national college entrance exam and his file was marked “incomplete”. Sima Haqiqat: Highest ranking student in Iran in foreign languages and 8th ranking in humanities in year 2004; she was deprived of education in subsequent years by being “Refused”. Hessam Missaqi: He was enrolled in the English language program at Sanaei University of Isfahan; after completing two terms and receiving a transcript for all passed subjects he was expelled along with two other Baha’i youth on July 4, 2008 on the charge of being a Baha’i. 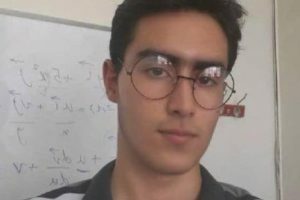 Arash Shahsavandi: Student in the Industrial Engineering program at the Polytechnic and Engineering University of Golpaygan: after completing one term with high honors, was expelled in February 2007. Mona Mohabbati: Student in the Industrial Management program at Rezaei University of Kermanshah in 2006: after completing 3 terms was expelled during the fourth term in 2008. 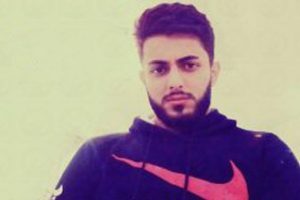 Arash Rouhani: Student in the Industrial Management program at Raqeb Advanced Studies Institute: was expelled after completing two terms. Minoo Sharyari: Student in the Economics program at the University of Semnan: was expelled on March 1, 2009. Sina Dana: Student in the Medical Engineering program at Sahand University of Tabriz: was expelled after completing one term on March 3, 2009. 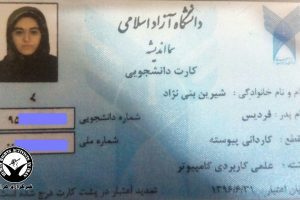 Sama Noorani: Student in the Medical Engineering program at Sahand University of Tabriz: was expelled after completing one term on March 3, 2009. It is worth noting that he was expelled along with two other Baha’i students named Sina Dana and Faraz Vazirzadeh. Borhan Rasti: Student in the Commerce Management program at the University of Shiraz: was expelled during registration on September 17, 2007. Faran Khan-Yaqma: Student in the Mathematics program at the University of Mazandaran: after completing 5 terms was expelled on March 7, 2009. Arman Roshan: Student in Civil Engineering at the University of Kerman: was expelled on January, 14, 2009. Bita Momtazi: Student at the University of Kerman: was expelled on January 14, 2009. Sepehr Qodrat: Student at the University of Kerman: was expelled on January 14, 2009. Mahnoush Dehqan: Student at the University of Kerman: was expelled on January 14, 2009. Qazal Sadeqi: Student at the University of Kerman: was expelled on January 14, 2009. Daniel Motahhari: Student at the University of Kerman: was expelled on January 14, 2009. Lua Baqi: Student in the Civil Engineering program at the University of Kerman: was expelled on January 14, 2009. Niloufar Kanani: Student at the University of Kerman: was expelled on January 14, 2009. Nasim Moattar: Student of University at the Kerman: was expelled on January 14, 2009. Iman Mirza-Panah: This student was ranked number 88 in Iran in the national college entrance exam in the field of mathematics, but was prevented from selecting a program and entering university. Rozita Tashakor: Student in the Foreign Language Translation program at Payam-Nur University of Isfahan: was expelled in 2006 and deprived from further education. Saqar Miri: Student at Nuri University in Mazandaran: was expelled in 2006. It should be emphasized that the names mentioned above are but a small fraction of the expulsions and deprivations from access to education for Baha’i students in recent times. The following are a small sampling of encounters with the authorities that these youth barred from education have experience during the last year. Pulling guns on expelled student: After being expelled from university, on September 11, 2008, three Baha’i students, Navid Khanjani, Hessam Missaqi, and Armin Rahmani, were following up on their appeal letters requesting reasons for their expulsion. This letter was sent to their Parliamentary representative. When they visited that office, the youth were confronted by armed guards who tried to instigate an altercation with the Baha’i youth in hopes that they could arrest the Baha’is. However, further escalation was prevented by the intercession of Hojjatu’l-Islam Mohammad-Taqi Rahbar, a member of parliament from Isfahan. Incarceration and interrogation at the Ministry of Education: In their follow-up, on December 16, 2008, these deprived students — namely, Navid Khanjani and Hessam Missaqi — went to the office of Dr. Jamshidi, the General Manager of Parliament Affairs of the Ministry of Education. When they arrived at the said office, they were summarily arrested by undercover agents of the security division. Afterwards, they were incarcerated and interrogated for 10 hours, all their papers, letters and forms were confiscated, and after many threats they were allowed to leave on the condition that they would never follow up on their expulsion again. I am the father of three children. I know the importance of Higher education. It is regretful that the Iranian authority is not aware of such injustice that is being caused to these Baha’i student by preventing them of such education facilities. I think its time for all Human Rights Organizations to raise their voices and denounce all these injustices. Looks like the end winds are blowing the flower pedals away as the gnus gathers to start their frenzy across the rivers to get to the other side. Someday when the people of Iran are free to express themselves without fear, we will learn how there were many silent heroes abiding in the background of Iranian society who made it possible for our Iranian Baha’i brothers and sisters to persist through a difficult time. Jenaab Ali, do you suppose the Lion King can stop the gnus’ frenzy? Ali, you are funny, and I don’t care what Mohammad from Qom writes. He just doesn’t get it! Nasser Jaan, One look at the supreme bull’s shiney horns and huffs and the cub has turned into a puffy cat. Hi Mark, Ali the son-in-law of the Prophet when challenged by the Caliphs, avoided confrontation and waited 24 years. Who am I to argue with MohamMad when he seeks confrontation. I believe the truth should be told. Some in the government in Iran don’t like it and act like the Caliphates, yet they call themselves Shiiah! This group’s Shiiah is man made and they peg their actions to the Imams thinking because they can fool a few and kill a few that they can fool God too. At the end fire awaits these people. All others get a free pass just for putting up with them for so long.